Are you looking for land for sale in Wiltshire or even a renovation or conversion opportunity? Plotfinder.net holds a database of building plots in Scotland, England, Northern Ireland and Wales. Above you'll find links to the very latest properties for sale in the Wiltshire area. 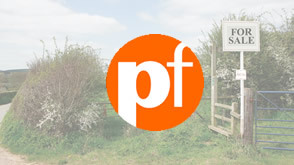 You may also be interested in looking for land for sale in the counties surrounding Wiltshire such as; Gloucestershire, Somerset or Oxfordshire. Use the search box above to refine or change your search criteria. Property listed includes; building plots, renovation and conversion opportunities, lots sold by auction and property for sale by private sellers. An Arts & Crafts-style Self Build: Exemplary design and attaention to detail means that this self build house in Wiltshire looks like it has been around for centuries. A Refined Country House: Built in an Area of Natural Beauty, this sturdy timber frame house combines Georgian and Queen Anne style.